Brazil will become the third country in recent months to move its Israel embassy from Tel Aviv to Jerusalem, president-elect Jair Bolsonaro announced on Thursday. The news came as a ceasefire deal between Israel and Palestinian militant group Hamas appeared to tentatively take hold; and shortly before comprehensive US sanctions against Iran, an arch-enemy of Israel, were scheduled to come into force early on Monday. 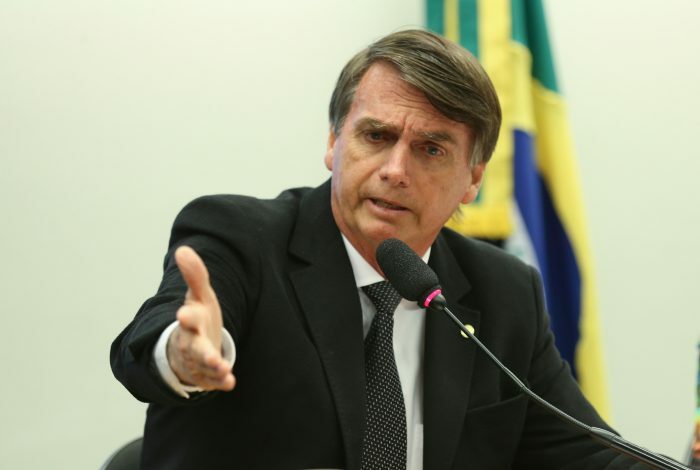 Bolsonaro, a right-wing populist, followed the lead of US President Donald Trump within days of winning Brazil’s presidential election last Sunday. Emulating the style of Trump, who formally recognized Jerusalem as the capital of Israel last year and who often makes important policy announcements on social media, Brazil’s president-elect posted his decision on Twitter. His tweet, predictably, drew praise from Israel and condemnation from the Palestinians, who called it a “provocative and illegal” step. Israel claims sovereignty over all of the city, while Palestinians have sought its eastern parts for a capital of a future Palestinian state. Nevertheless, shortly after the announcement the ceasefire, mediated by Egypt, went into effect in the Gaza Strip, while on Saturday a separate effort for reconciliation among warring Palestinian factions was underway in Cairo. The Gaza Strip has witnessed deadly clashes on a weekly basis this year, between Palestinian protesters and militants on one side, and Israeli forces on the other. These clashes have periodically escalated into exchanges of the Palestinians’ Grad Katyusha rockets and Israeli airstrikes. Separately, analysts say that Iran has sought to exploit the splits between different Palestinian factions and the deteriorating economic situation in the Strip in order to hit back at Israel and the US for the re-imposition of nuclear sanctions on Monday. By becoming the third country to formally recognize Jerusalem as Israel’s capital — after the US and Guatemala, which followed Washington’s example in May — Brazil would step into the convoluted Israeli-Palestinian conflict at a particularly sensitive time. Many, including the EU’s top diplomat, say that the two-state solution, which would see an Israeli and Palestinian states coexist side by side, is on its last legs, while intense speculation rages about the legacy and likely successor of ailing Palestinian President Mahmoud Abbas. Trump, on the other hand, has been promising the “ultimate deal.” Stay tuned.